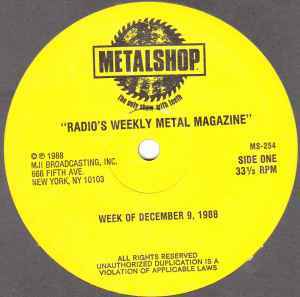 Copyright (c) – MJI Broadcasting, Inc.
Phonographic Copyright (p) – MJI Broadcasting, Inc.
"Radio's Weekly Metal Magazine" released for broadcast the week of December 9, 1988. Issued with a 5-page cue sheet. © ℗ 1988 MJI Broadcasting, Inc.